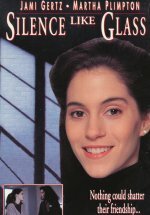 When young ballet dancer Eva Martin (Jami Gertz) falls ill, she discovers that she has cancer. Seeking treatment at a clinic, Eva attempts to cope with her potentially fatal illness. She must also adjust to life with her new roommate, fellow cancer patient Claudia Jacoby (Martha Plimpton), a girl of modest means who immediately resents the well-to-do Eva. Slowly, however, Eva and Claudia begin to build a friendship that helps them both deal with their disease.